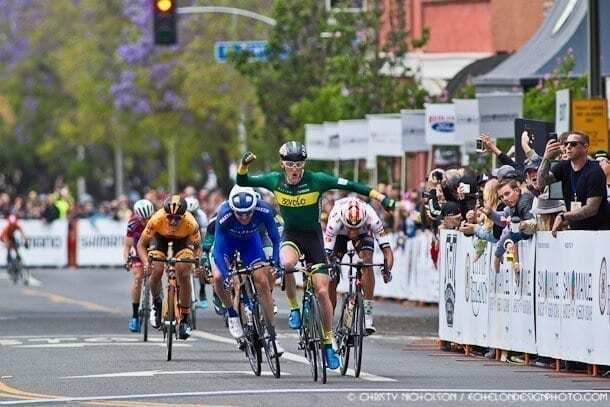 Gage Hecht scored the first victory for Aevolo Cycling, sprinting away from a 9-rider break to take the win on a windy stage 4 in downtown Redlands. UnitedHealthcare Pro Cycling’s Danny Summerhill crossed the line for second, with last year’s winner, Ullises Castillo, in third for Jelly Belly Pro Cycling p/b MAXXIS. “It feels so amazing, I almost can’t believe it,” Hecht said, beside himself at the finish. 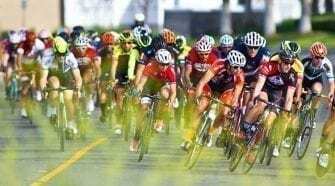 The breakaway was given a gap several laps into the race, with some heavy hitters in the group, including Karl Menzies (Cylance), Bryan Gomez (Gateway Harley), and Ullises Castillo (Jelly Belly). 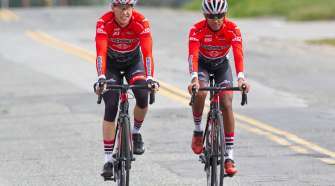 Storm clouds loomed overhead, while the riders fought a headwind throughout the 90-minute stage. The 1-mile course included 9 turns, keeping the intensity high. Holowesko | Citadel kept pace on the front, keeping race leader, TJ Eisenhart safe for the day. The men rolled out after a full day of racing and festivities in Redlands, under threatening rain clouds and dropping temperatures. The 90-minute stage around a technical 9-turn/1-mile course kept the intensity high. Eisenhart holds a 42-second gap over Gavin Mannion (UHC) and 45-seconds over Brandon McNulty (Rally Cycling) heading into the final stage. Visit Dallas DNA’s Claire Rose won the city of Redlands criterium after spending 20 laps off the front on a solo attack. 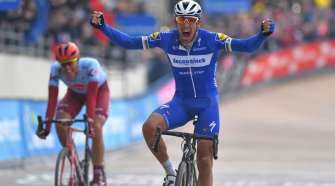 The English time trial specialist attacked around 15 minutes into the hour-long race and held off the advancing field by 14-second advantage going into the last lap. Megan Jastrab (Amy D) won the field sprint for second place and Lizzie Williams (Supermint Hagens Berman) finished third. Heading into the final stage, Amber Neben (Dare to Be Project) remains the race leader, 22 seconds ahead of UnitedHealthcare Pro Cycling’s Katie Hall.